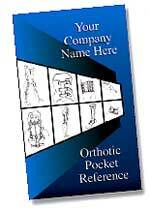 At last, an affordable, customized Orthotic Pocket Reference book your valuable referral sources will truly appreciate! This 126-page compact pocket orthotic reference book features over 125 professionally drawn illustrations of the most commonly prescribed orthoses along with comprehensive descriptions for utilization. Durable spiral bound book measures only 3 5/8" x 5 3/8"
OMEGATM Tracer is a complete CAD system offering prosthetic and orthotic solutions. 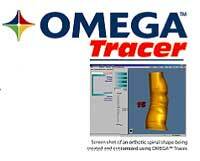 OMEGA Tracer enables practitioners to create and modify shapes with its user-friendly software. The software allows practitioners to develop accurate spinals, AFOs, and knee braces with amazing time savings. By combining patient measurements, a large library of templates, and unique modification tools, practitioners can create customized orthotic shapes for their patients. Now you can purchase the Elite® All Terrain Foot, manufactured by Endolite NA, through any of SPS' three distribution centers. Utilizing the new patented independent heel and toe springs configuration, the Tri-pod System®, the Elite foot provides increased stability and efficient forward propulsion over any surface throughout the gait cycle. The unique e-carbon heel provides lightweight (total foot weighs an average of 618 grams) active shock absorption and forward progression on all terrains. Shock absorbing reflex action facilitates multi-directional tractability. Each foot is shipped with a foot shell, spectra sock, and integral male pyramid. NeuroStretchTM Orthotics, the next generation of NeuroFlex technology, includes the new products: Finger Flex WHFO, ROM Knee Orthosis, and Air Knee. All NeuroStretch Orthotics have inhibitory properties and provide Low Load Prolonged Stretch Therapy while the patient simply wears the device. All products feature washable liners treated with Bacti-Ban, an antimicrobial agent that keeps the orthoses cleaner and odor-resistant for the life of the product. For the same price, don't immobilize a contracture with a static brace --provide NeuroStretch Orthotic Therapy to restore lost range of motion. Otto Bock HealthCare announces the release of the Nurmi Neo, a new pediatric walking aid. The Nurmi Neo's sleek and sporty design is engineered with a lightweight and strong, but highly adaptable frame that is designed to promote movement and natural gait. Available in three sizes, it can be adjusted to fit children in many height and weight ranges. The Nurmi Neo also comes in two child-friendly colors, Saturn Blue Metallic and Granny Smith Green. Safety is top priority, and the Nurmi Neo comes with a high degree of security from its reverseroll wheel locks, to its optional anti-tip bars, swivel wheel locks, and friction brakes. In addition, it also comes with three different depth- and height-adjustable grip bar options. Back due to high demand, the new and improved Flex SymesTM has returned with increased versatility and superior alignment options. With a lower build height, lighter weight, and even greater heel deflection, this is the perfect solution for your Symes patients who demand the high quality that you've come to expect from Ossur. Features include the CarbonX® Heel, split toe, and the capability to align at virtually any angulation, due to built-in slide and rotation adjustments. Of course, direct lamination is also an option. The Flex Symes is sturdy, robust, and ready to handle all impact levels. ELITE…The All Terrain Foot from Endolite! 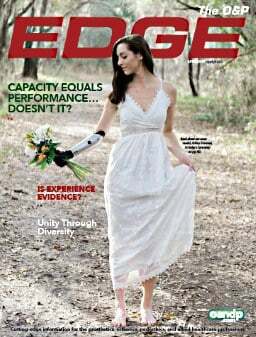 The Elite®, a performance prosthetic foot for K3-K4 level amputees, truly is "All Terrain." It provides the right response, in the right places, no matter what the terrain. The Elite's multi-directional movement is made easy with its shock-absorbing reflex action, providing excellent forward progression. The Elite Tri-pod System ®, a patented independent heel and toe spring design, provides stability with effective propulsion and control through the gait cycle on all terrain. The Elite's twin toe adapts and conforms to any terrain with optimized energy transfer. The Elite foot comes with a 60-day trial period, a three-year warranty, and a "no questions asked" return guarantee. The entire line of precision-fit modular components products from American Prosthetic Components is now available from PEL Supply. Manufactured in the US, each piece is hand-assembled and individually examined to ensure quality, durability, and value. All modular products come with a five-year "No Questions" warranty. Precision CNC-machined in titanium, stainless steel, or aluminum, these value-priced modular component products are laseretched, CE marked, and individually hand-inspected. 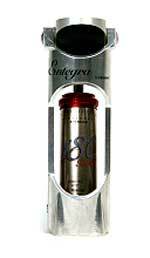 Products are available as individual components or in a variety of 10-inch and 17-inch sets. A-Spaces is a unique prosthetic storage unit designed specifically for the needs of amputees. 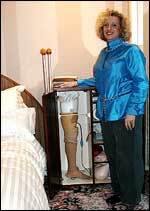 The concept was developed by Deb Schiel, an AK amputee. 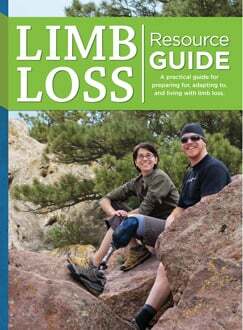 "After living with limb loss, I recognized the need for a convenient and safe way to store prostheses, while minimizing accidental damage yet providing one-spot to access all supplies and products." A-Spaces prostheses storage accommodates upper extremities with its adjustable shelves and easy touch latch, up to 2/4 BK or AK storage, providing optimal security using its safety gate feature. It also offers an electrical access for a charging unit while storing the device. 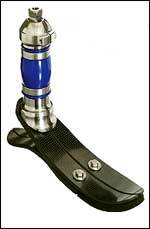 September 1 through December 31, 2005, you can offer your clients the full benefits of any Ossur ® Ceterus® the only prosthetic foot to offer responsive rotation via the Torsion Control Cell TM, effective shock absorption and exceptional energy return and receive a FREE Sports Captain Chair with every SPS purchase. The Ceterus (min/max clearance of 11" to 12 5/8"), Ceterus Low Profile (min/max clearance of 9 1/6" to 10 7/8"), and LP Ceterus (min/max clearance of 5 3/16" to 6 3/16"), incorporate a unique combination of benefits and superb technology to meet the needs of active amputees weighing up to 325 pounds.